Let’s learn all the types of clouds! Clouds can be tough to learn and I really do hope these types of clouds worksheets will be of help. I’ve made quite a few variations so you can use them with kids of different ages and with different curriculum. Now the best way to learn about the clouds is outside, looking at them (print the worksheets with cloud names) and naming them (while also spotting animals they resemble). I’ve gone through a lot of literature to determine if there are 3 or 4 main types of clouds (we were taught 3) and well more books claim there are 3 but there are those that claim there are 4. So we have cumulus, cirrus and stratus. The 4th one would be nimbus (the rain clouds) but there technically are no nimbus clouds – we do have cumulonimbus and nimbostratus. I’ve made two worksheets – on one of them there are 3 photographs of clouds with their names and there is a space for kids to write notes (notes can be when they saw the cloud, characteristics of clouds…). Other worksheet has 3 photographs and kids have to write down the names of the clouds. Yes there are many… There are even more if you would add fog and artificial plane clouds (contrails). Truth be told some of these are really hard to distinguish (or it might be just me) in nature and it is way easier to name them on paper so it’s OK if your kids can’t name all the clouds correctly in the sky (well unless they study the clouds) and weather. Now when I was learning the names of clouds I used a few tricks to help me remember them and I will be sharing them in hopes they will help someone else too. The fluffy ones, the most “cloud like” cloud. Cumulus that has gotten some altitude thus alto-cumulus. The tall tower. Everything nimbus has rain. Cloud as long as the street. Stratus that has gotten some altitude this alto-stratus. Fluffy cumulus long as the street. They are stretchy like your face would be if you would eaten a lemon (citrus). Fluffy little cumulus clouds – formation reminds of citrus peel. 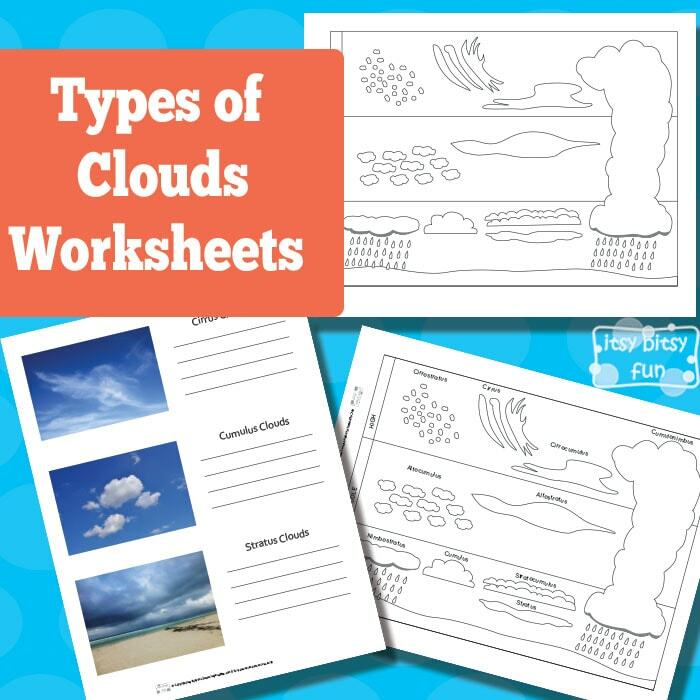 Get your 3 Main Types of Clouds Worksheets here. 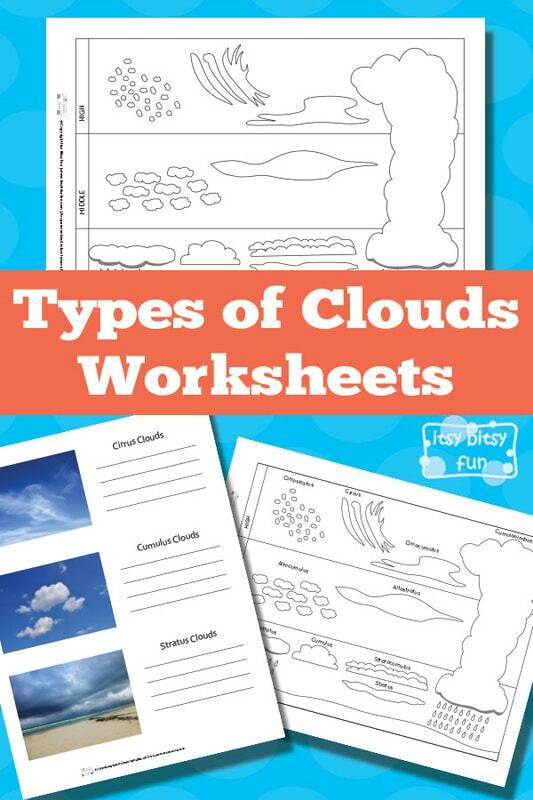 Get your 10 Types of Clouds Worksheets here.